Get laughing! Laugh in the face of Blue Monday and try some new comedy. I’ve challenged myself to try new things this year (basically, watch a whole lot of films that I missed first time around!). I wouldn’t usually end up watching these sort of films (mostly because film choice is a joint decision in our house, and they’re ones that my husband would usually say “no” to!) but hey – let’s both try something new! It’s miserable and cold outside, so let’s laugh our way into the New Year! By the sounds of it, these films will definitely help to beat the January blues! 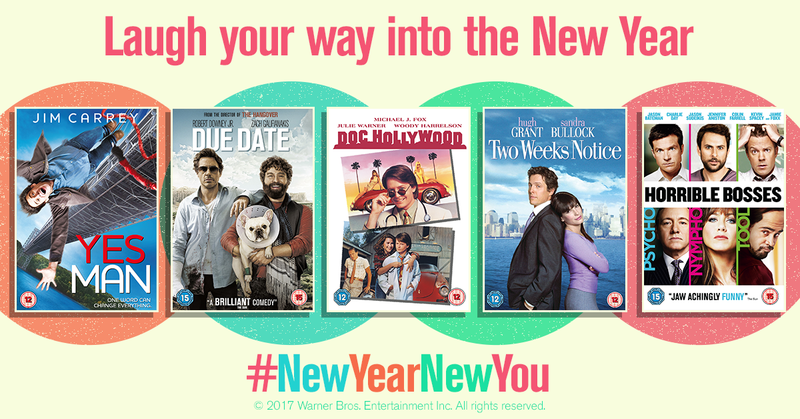 On Wednesday 18th January, I’ll be running a competition on my Twitter page to win all 5 as a DVD bundle!! Simply follow and RT to be in with a chance of winning this comedy DVD bundle!